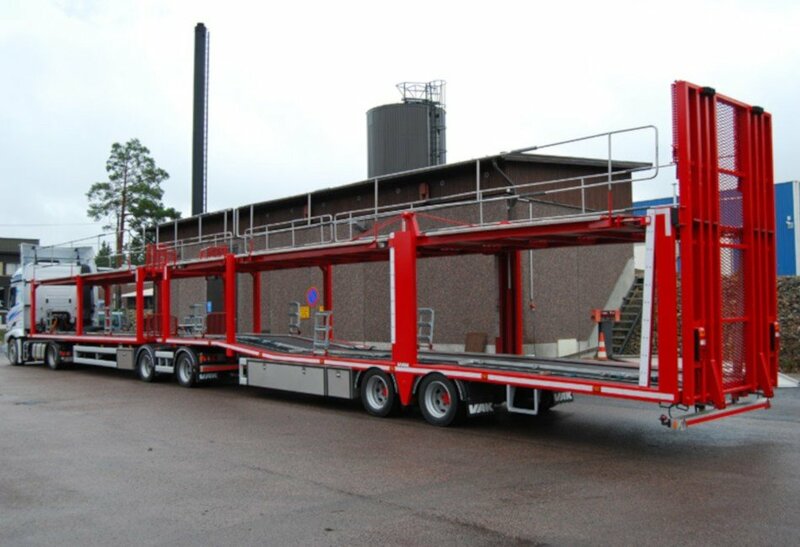 VAK designs and manufactures a variety of speciality trailers. 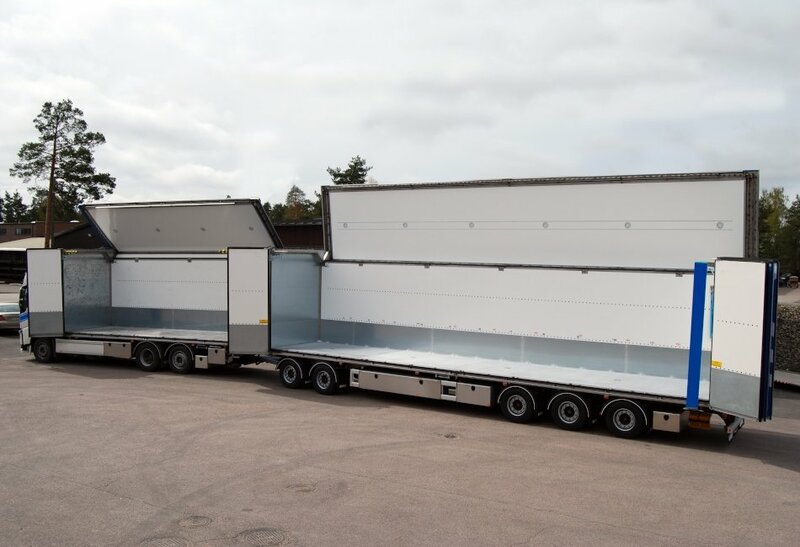 Each of these products is built according to the customer's exact specifications and to fill a certain transport need. 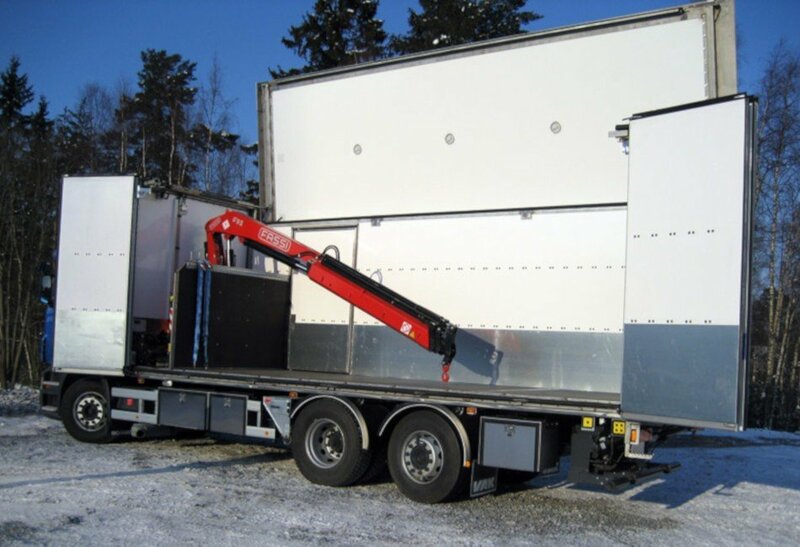 Renowned for its professional and flexible organisation, VAK can handle even the most demanding special projects. 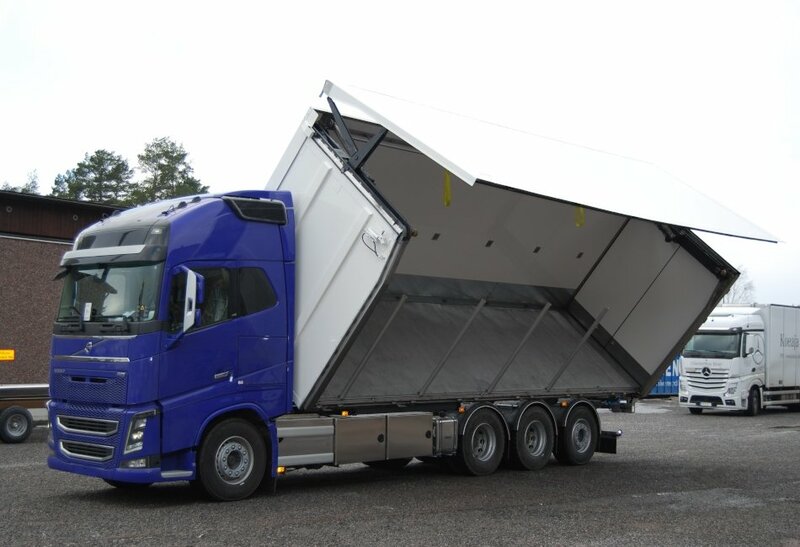 Due to VAK's special expertise the Uusikaupunki car factory's A-series Mercedes Benz -cars travel safely from the plant to the harbour in their tailor made trailer. 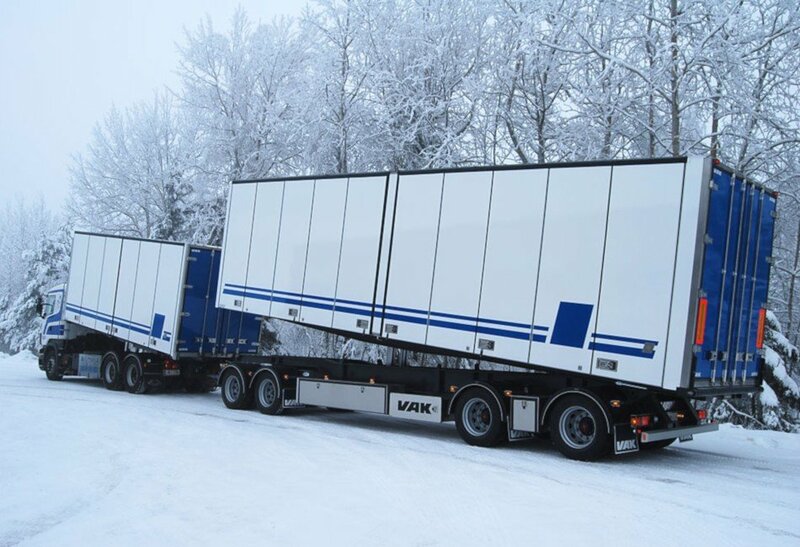 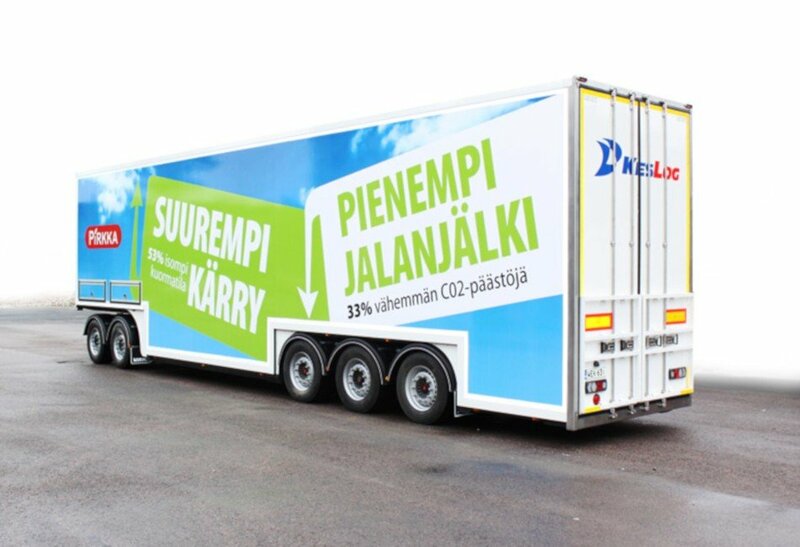 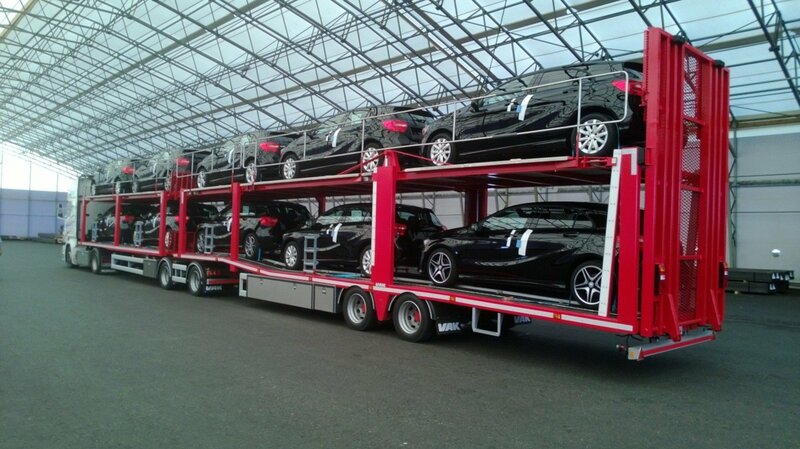 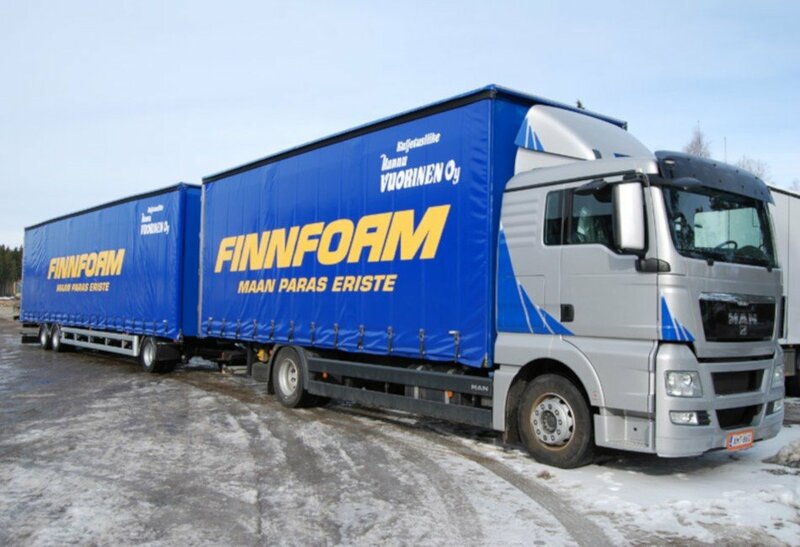 For the Swedish market VAK manufactures 19,6 metres long trailers – the whole vehicle being 23 metres in total. 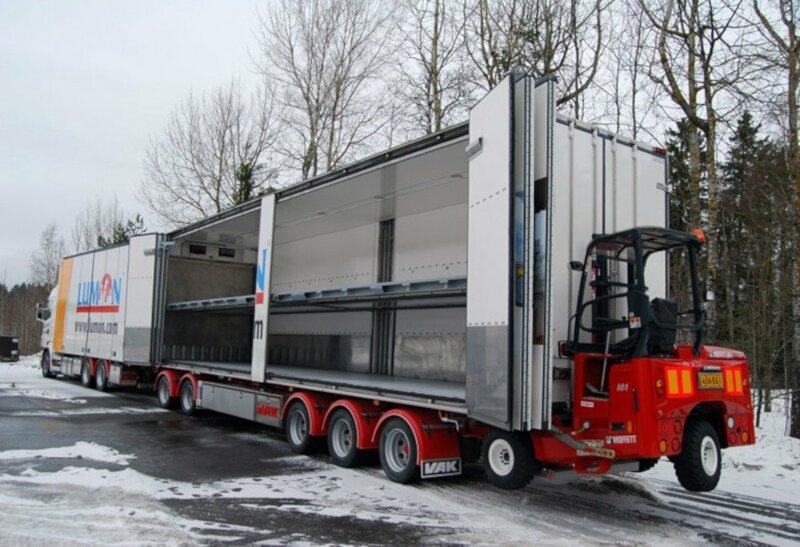 This super long trailer has two sets of steering axels, which makes it easier to guide it through the crossroads and roundabouts.